Have you ever considered chartering a helicopter to Paris! Helicopter charter to Paris allows us to fly you directly into Paris Issy Heliport which is in close proximity to the Eiffel Tower. 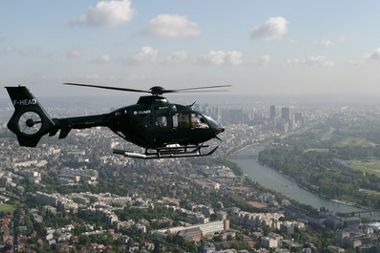 The twin engine Agusta Grand helicopter is the most used and suited helicopter to hire for helicopter flights to Paris. From Battersea, London to Paris, Issy takes 1hr 25mins. We would preclear you prior to the helicopter charter to avoid delays when you arrive. By using Paris Issy Heliport it gives you quick and driect access to the centre of Paris, avoiding ground transport in London and from the airports in Paris. Why would you charter a helicopter to Paris from London? Urgent business meeting in Paris! Saving you time traveling keeps you with a clear head and we can even get you back in the office before the day ends! Weekend romantic break! Spoil someone special and avoid spending a day traveling, just book your hotel and we’ll arrange to get you collect driven to Battersea with your helicopter waiting for you. Then once you arrive by private helicopter in to Paris, Issy we can have a car waiting for you to take you to your final destination.